Hey, what do you know? Redbox is making money hand over fist, just like Redbox does. 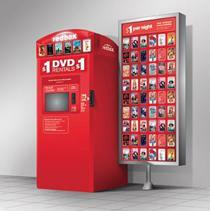 So you might have picked up on this already, but Redbox is very good at making money. Not just at making money, but making lots of money. More money than most people - most companies even - will see in their lives. The latest earnings report from the company shows that revenue is up 33.8 percent in the second quarter of 2011. It's not just new kiosks that increased the company's earnings either - kiosks rented an average of 16.8 percent more discs. Redbox president Mitch Lowe says that the popularity of Redbox for movies and games means more than just money for the company. " More than 1.5 billion movie rentals and the positive consumer reaction to video games highlight the ongoing demand for physical media," he says.